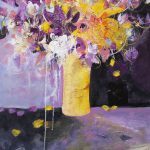 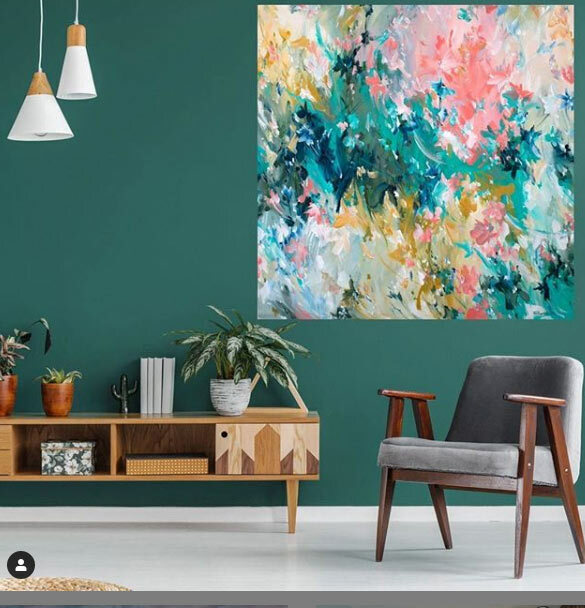 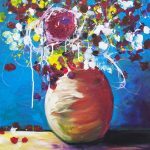 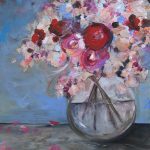 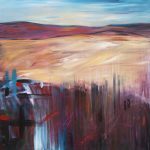 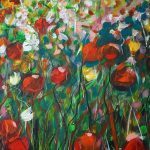 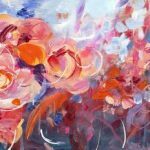 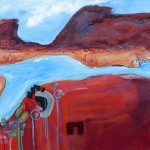 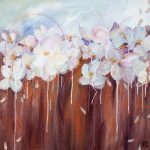 Tania is an abstract artist living and working in the Yarra Valley. 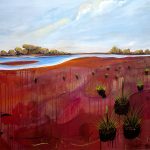 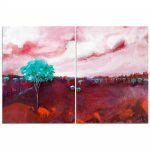 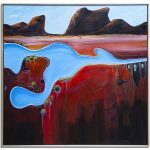 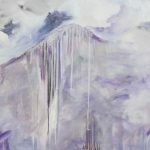 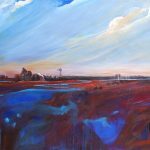 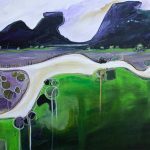 Her current work focuses on landscapes inspired by her love of the natural world. 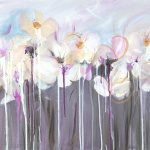 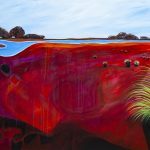 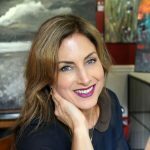 Tania is an abstract artist living and working in the Yarra Valley, Victoria, Australia. 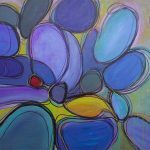 Her work is driven by intuition, a love of colour and pattern. 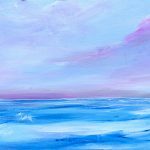 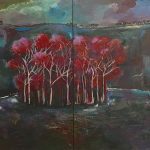 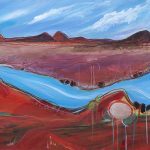 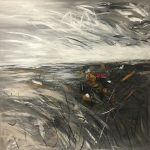 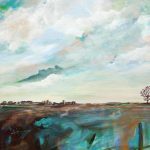 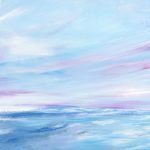 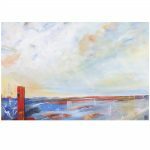 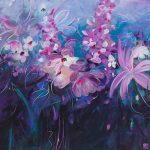 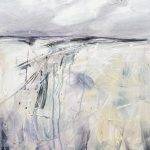 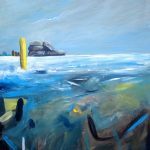 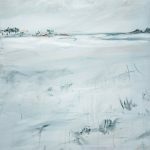 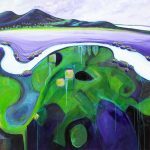 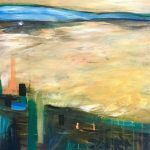 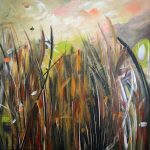 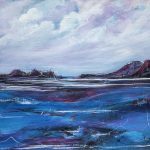 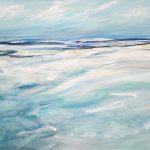 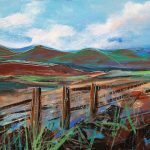 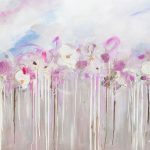 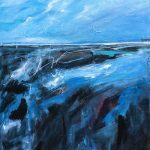 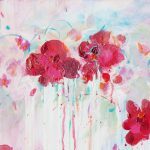 Currently she is focussing on landscapes inspired by the natural world, and by the ever changing effects of the elements on the environment. 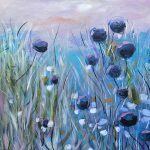 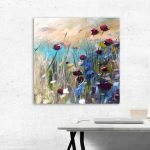 Whether it’s a field of wildflowers swaying in the wind or a thunderous storm ravaging the coastline, her aim is to capture the atmosphere and communicate emotion. 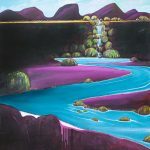 “I have always had a desire to express the emotions I feel from nature. 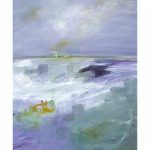 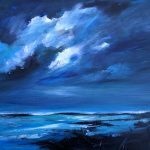 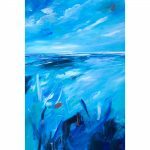 The depth and richness of the colours, the complexity of the sky – especially the romantic feeling of stormy clouds, the churning foam of the ocean on those days and the sunlight playing through tall grasses as they bend and wave. 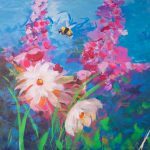 From the sweep of the vast landscape down to the bee among flowers, natures inspiration is endless. 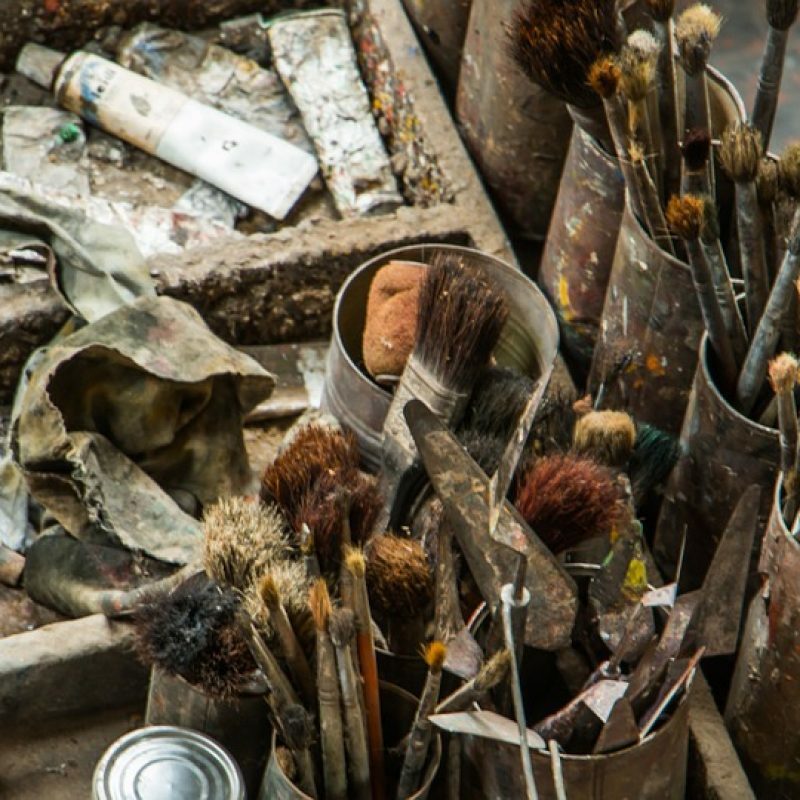 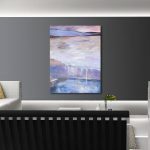 My feelings flow directly onto the canvas in an uninterrupted, intuitive flow; layers, textures and colours blend and evolve before me until some secret inner part of me feels satisfied. 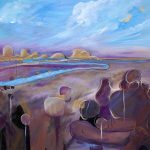 I don’t question or reflect on the process as it takes shape, I simply let the emotions rule the head. 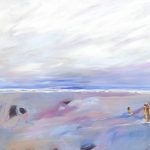 Around my home, nature overwhelms the human environment. 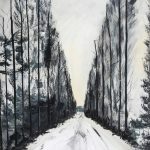 Trees command the skyline, not buildings, and beauty rules over bitumen. 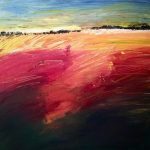 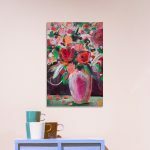 My work reflects the deep inner peace I feel when outdoors, from the smell of the rich red earth in autumn and the tang of spring, to the crisp apple coldness of winter and the ocre glow of lingering summer sunset.